Thank you for your like of my post, “Will You Be There.” I greatly appreciate your encouragement. So very True Faith Love n Desire , Jesus is our Best Friend and He joins our hearts in friendship when we are in Him as His Body and so we are then there for each other, in the good and bad and we also reach out to a hurting world. What an awesome gravatar. I am very pleased to meet you. I’m so happy to meet you too! You have a great blog…and your writings is awesome! I love reading your posts! Blessings! Thank you for your support and liking of my post “2 Weeks Notice”. I really appreciate it. You are welcome my dear! God bless! Hi! Thanks for visiting our blog http://www.christiancounselorpastor.wordspress.com and liking a recent post. We look forward to your return visit and comments. I just love your header picture! 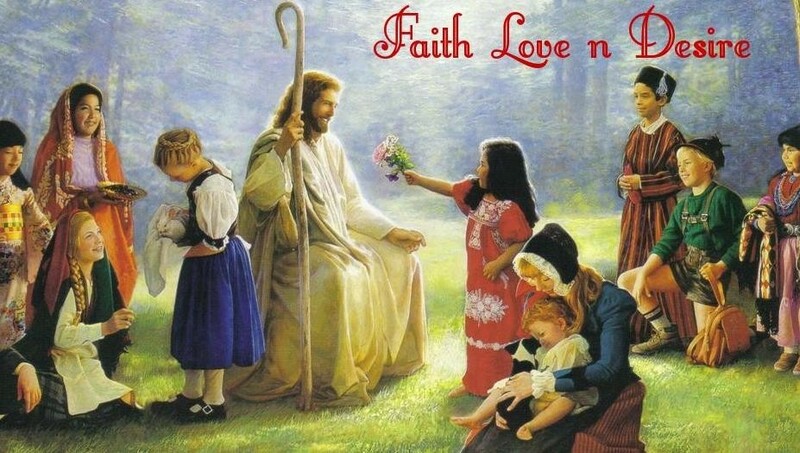 Ahh, that we would all be like the little children and come to Jesus unhindered! Hey, just wanted to pop in and thank you for following us. Appreciate the encouragement, and looking forward to reading more of your encouraging posts. Have a great day! Hi friend! Its been million of years since I heard from your nest. I hope all is well. Stay safe!